Went to a place called Duchally for lunch. 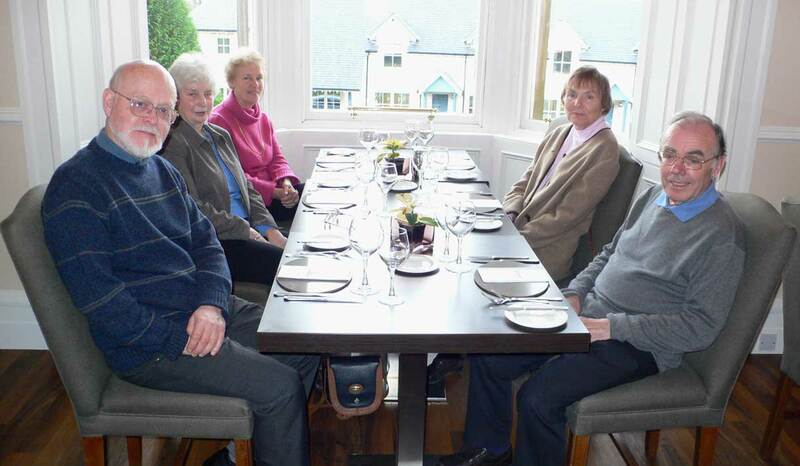 Cora was visiting us, se drove up to Duchally for lunch with the fiddlers. Who came from Dundee. Its something mum and dad have being doing for 10 odd years now. Tradition. It was good to catch up with old friends of the family. Sorry what follows now is another repeat but in wide screen HD. 2007 arrived and now we are on our second week. Should start to do something about earning money, do I go follow my dreams or do I just face the grey light of day and go back to earning money the way I have be doing the past. Issues being what are my dreams. Writing, music, photographer, technology, cooking, travel, ?. Question mark representing the missing link. Can I combine them altogether and do something special and worth while. I feel I Am waiting for a happening. I need to make it happen though. Maybe I am just hiding away from that grey light of day. It would be great to manage some company called INC All. People can have rewarding exciting lives, and still earn money. I wish not to lose the free spirit I have found but I do need to earn money. I still feel tired and still need to clear my head. Anyway the spending continues, thanks to froogle.google.co.uk. I have joined the DSLR brigade. Nikon D80 with 18-200 lens, wonderful camera. Only time I have read a manual. I want to know everything about this camera. I am still running. I have lost weight on my wrist, not on my tummy. I am planning to go to Brazil. Very soon. So I could be in Brazil this time next week. Actually I will be on a TAM plane flying to Salvador-Bahia. Visiting Danny, Alla, Juliya. I just need to sort out the flight from Sao Paulo to Salvador, before I can book the flight from Europa to Brazil. Another adventure, and time filler. Sometimes I Am not be the most productive with my time. I am in a state of meditation . So this week will be quite busy as I plan to get away to Brazil. Wish me luck. Do I write to much, I think I should write these thoughts in my black book. Kind of stupid to write for others to read, strangers. I may regret what I write one day. gud luck on yer trip to brazil simo!